Built to last, Defender™ landings & platforms are the simple and safe way to access mechanical plant. 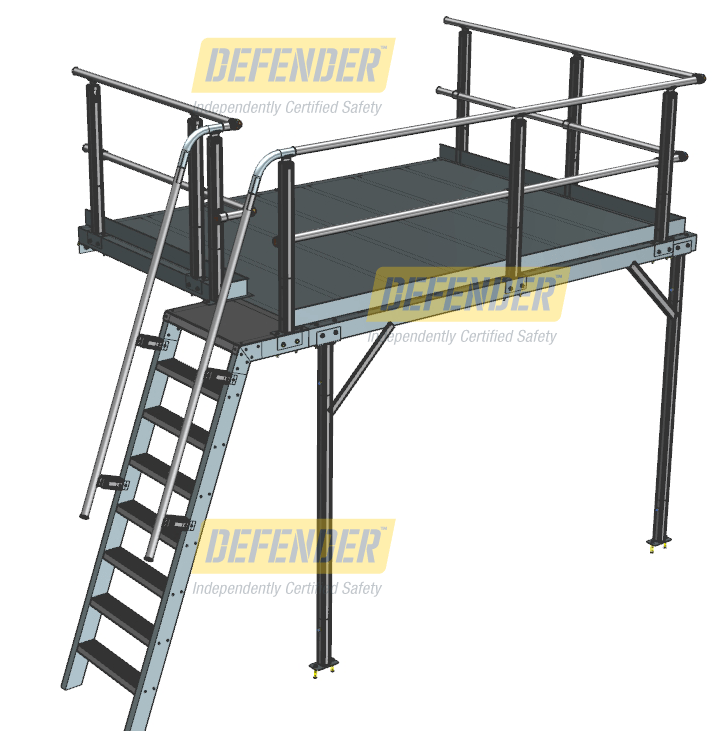 So you can be sure your people are protected and your liability is minimised, Defender™ landings & platforms comply with AS 1657-2013: Fixed platforms, walkways, stairways and ladders – Design, construction and installation. Platforms are always preferable to working from ladders. Workplace Access & Safety can incorporate roof anchors and static lines to the systems. Read more about how platforms fit into the hierarchy of controls. 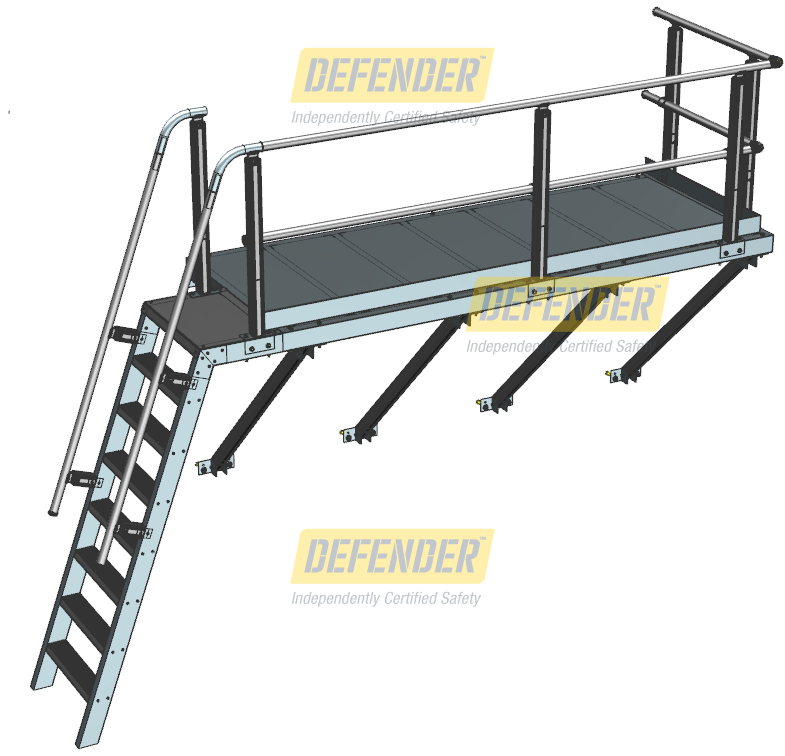 Defender™ platforms and guardrail systems are manufactured from corrosion resistant aluminium or steel and are engineered for structural soundness. All installations are conducted by technicians with specialised training. 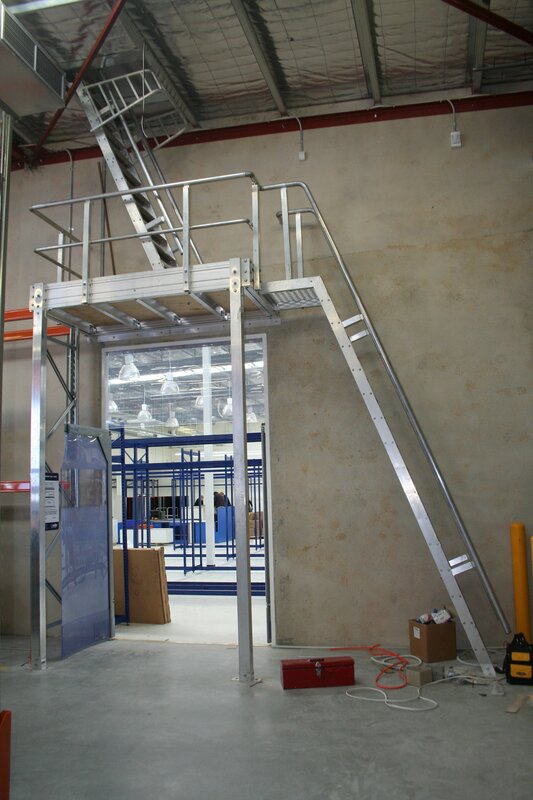 Platform, ladder and guardrail systems are fabricated to suit your site from standard systems ensuring short lead times for your installation. Made from non-corrosive aluminium or steel. Any steel components are hot-dipped galvanised or finished to your requirements. No matter what your roof type, there’s a platform to suit. Workplace Access & Safety specialises in installing Defender™ platforms onto asbestos roofs for safe access to mechanical plant. 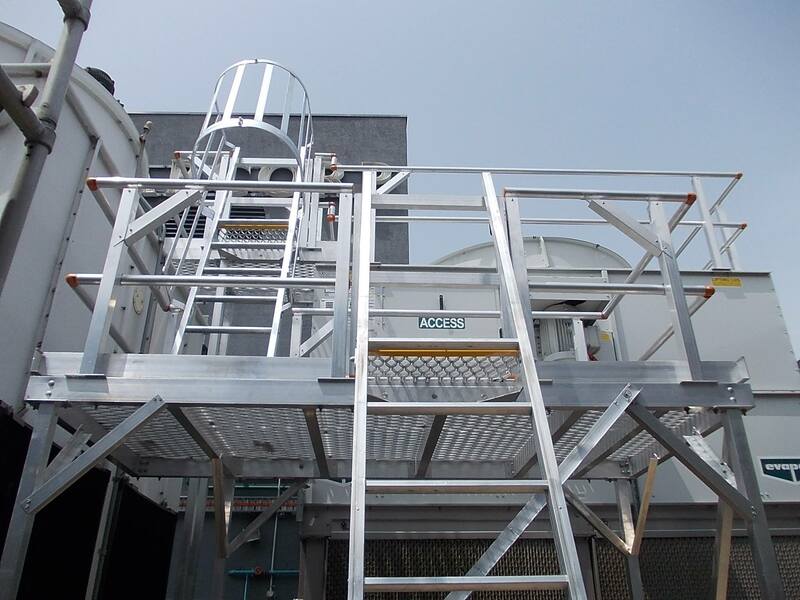 Cooling tower access can be made simple too. 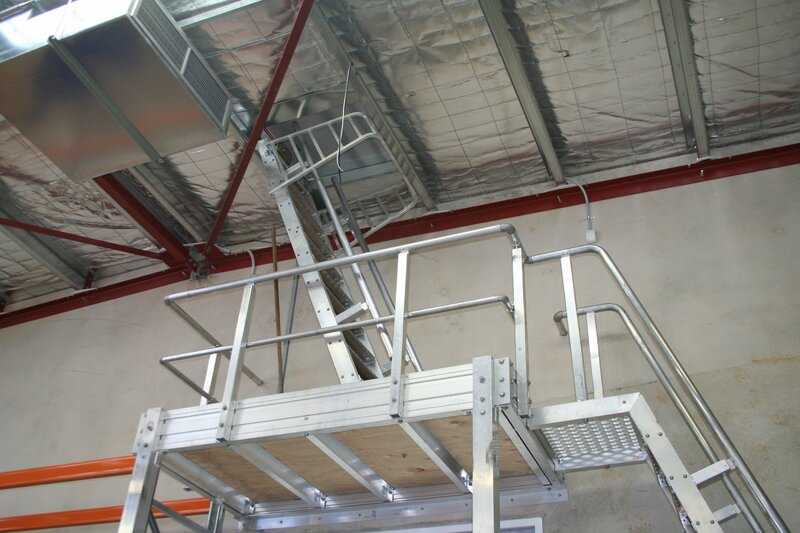 Defender™ platforms are custom-built from standard extrusions incorporating fixed ladder access for safe access. Get it done right, first time, for less. Defender™ equipment and installation is extraordinarily cost-effective. Why? Because smart design shouldn’t cost extra.